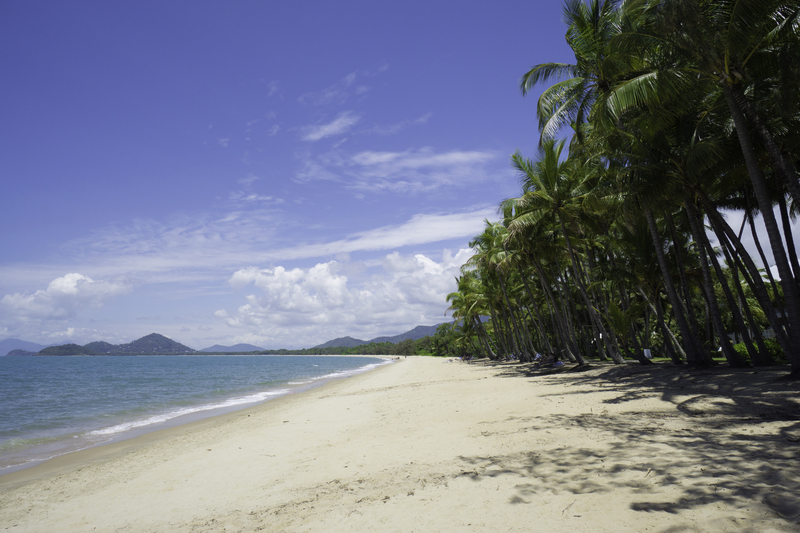 Palm Cove Beach is noted for its long stretch of white sand lined by tall palm trees. Located in a small village once used as a resting stop by the famous Captain Cook, this pristine beach is a major tourist attraction due to its proximity to the Great Barrier Reef and the Daintree National Park. lifeguards patrol year-round and can direct you to safe swimming spots along the coast. Make sure to stop by the Palm Cove jetty, one of the region's most popular fishing spots, where anglers regularly catch species such as mackerel, giant trevally, and shark. Nearby are dozens of shops, restaurants, cafes, ice cream parlors, and pubs, open conveniently late into the night. To visit Palm Cove Beach and other attractions in Palm Cove, use our Palm Cove trip planner.